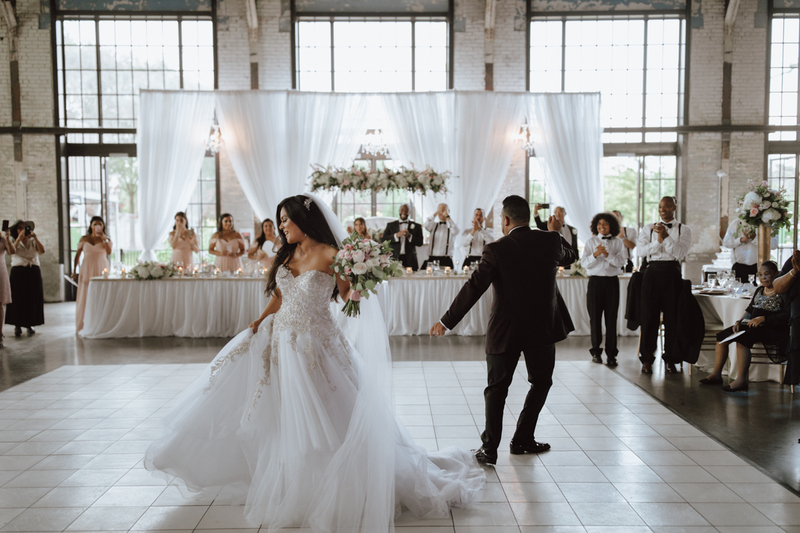 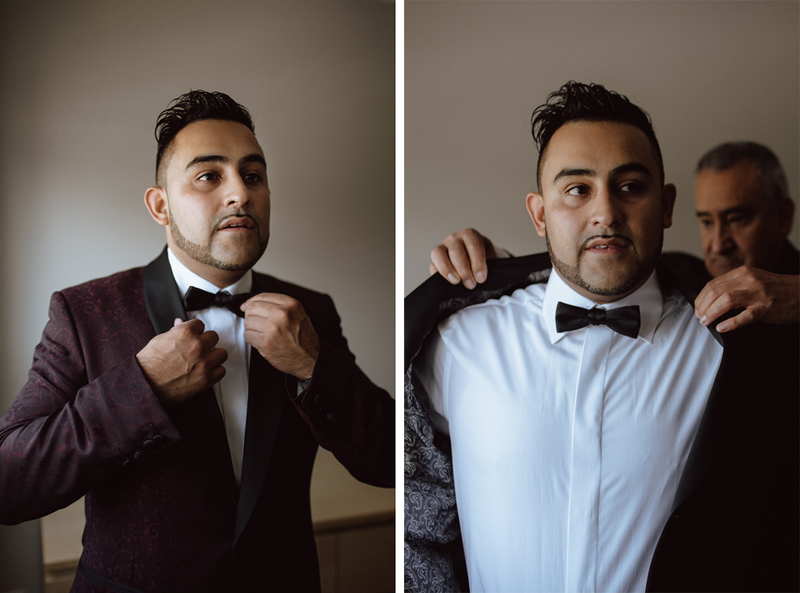 Jackie and Juan’s Horticulture Building wedding looked like it was straight out of a magazine. 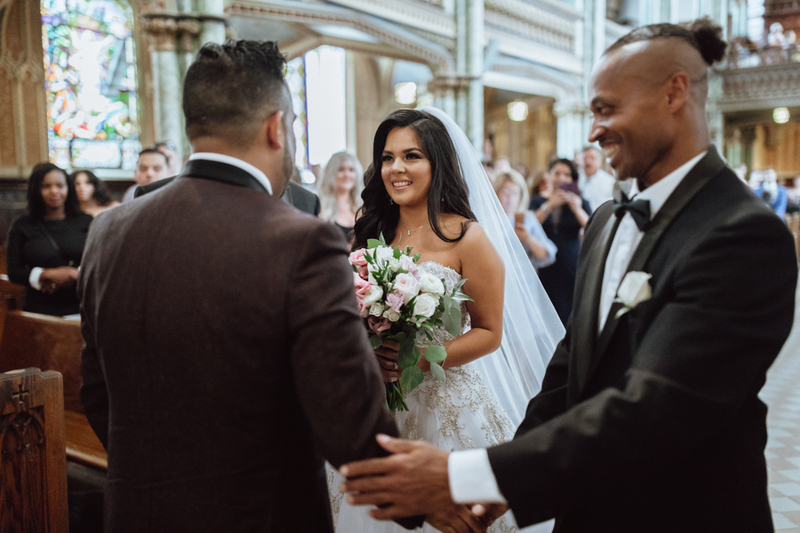 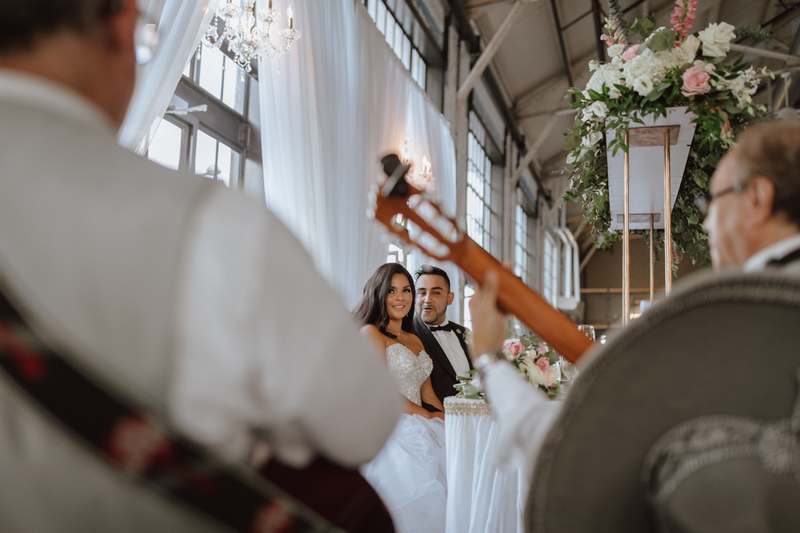 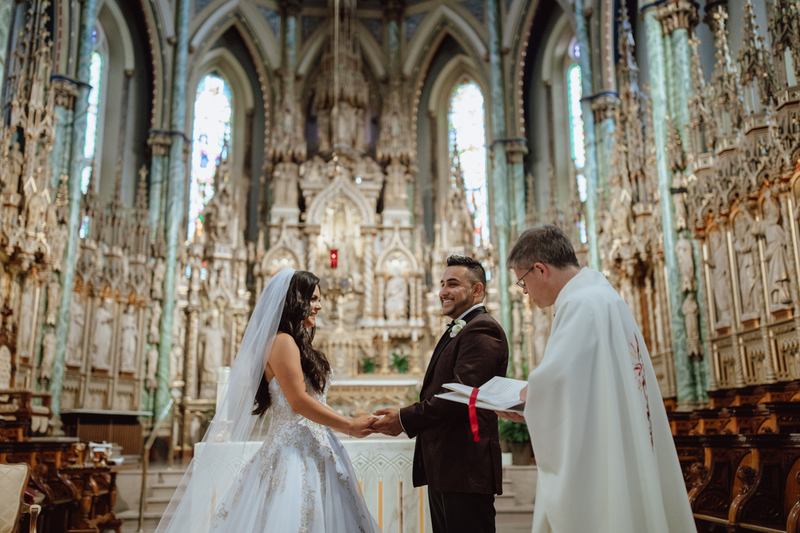 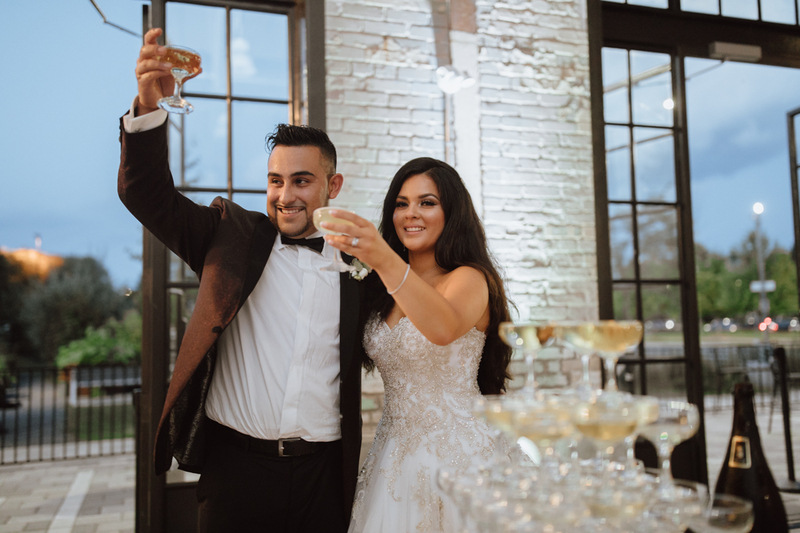 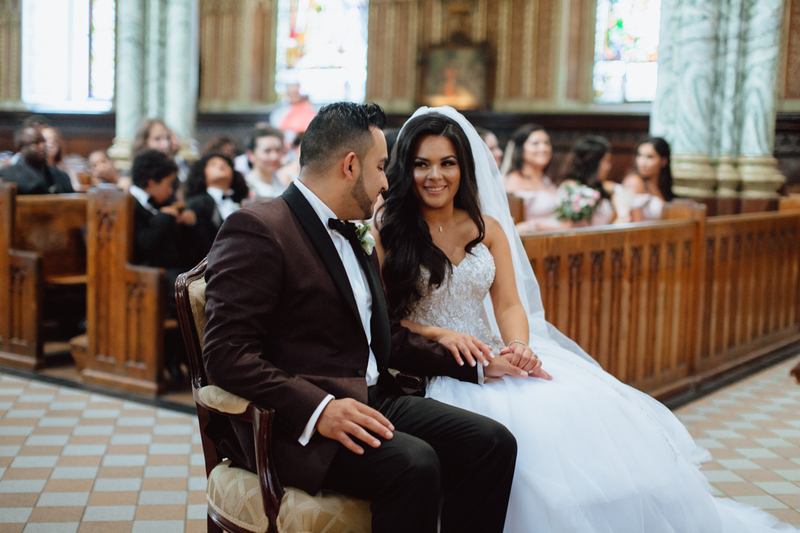 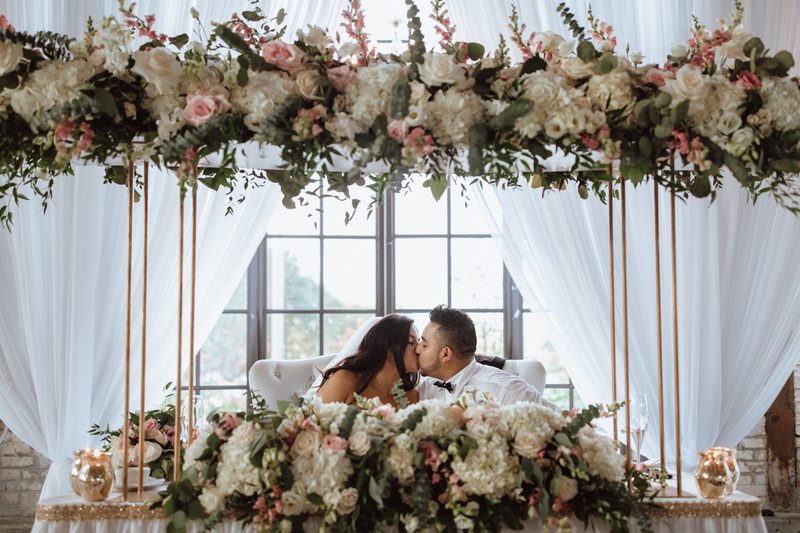 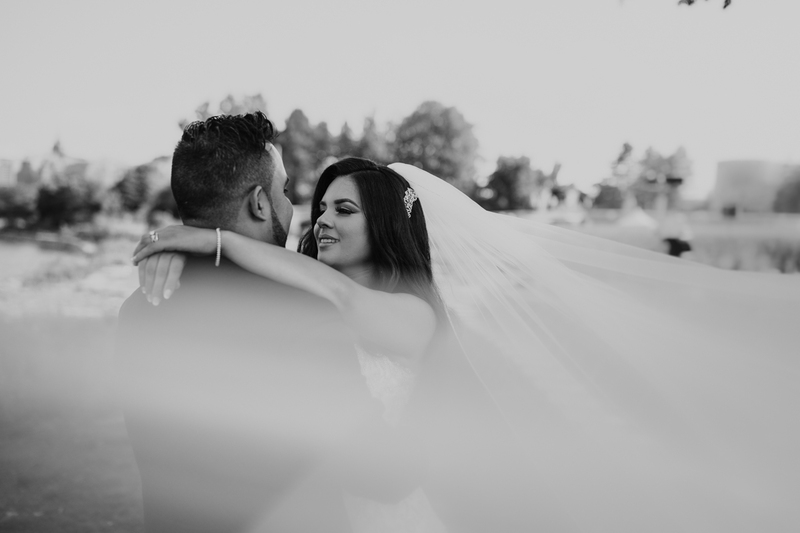 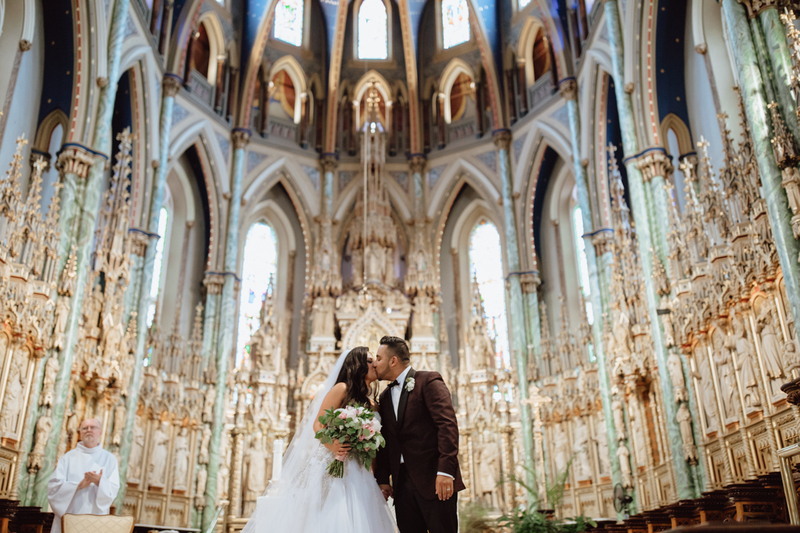 These two were married in the beautiful Notre Dame basilica and held their reception for family and friends in Horticulture Building in Lansdowne. 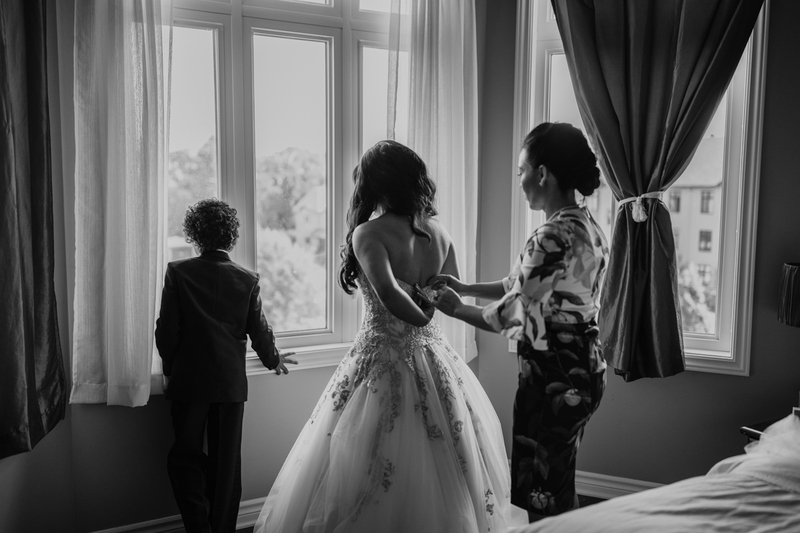 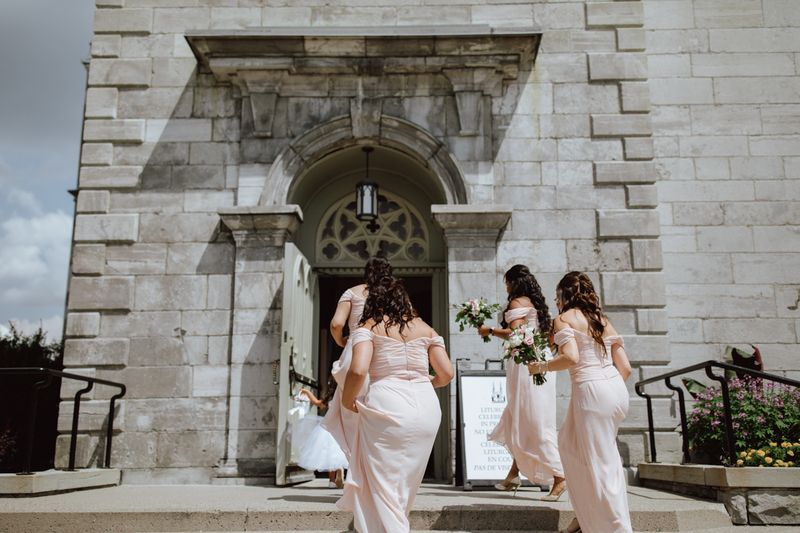 The day started in Aylmer, Quebec where Jackie and her bridesmaids got ready. 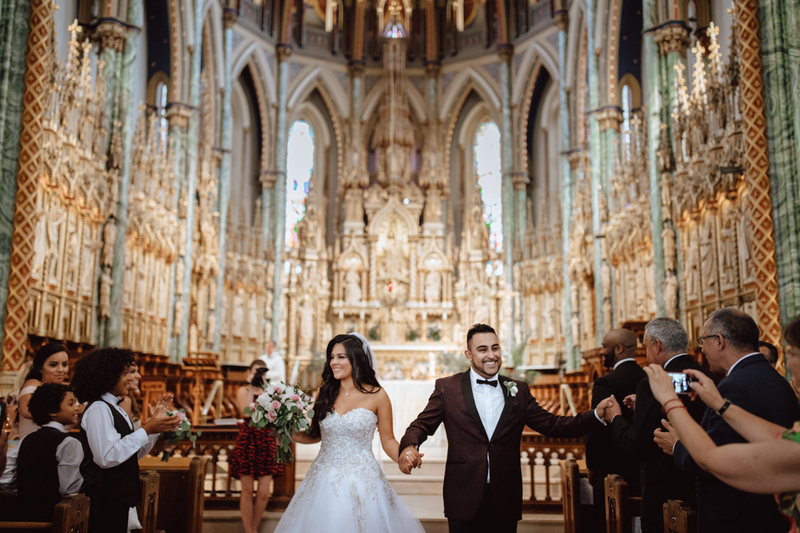 As soon as they were ready, they rushed to the ceremony at the stunning Notre Dame. 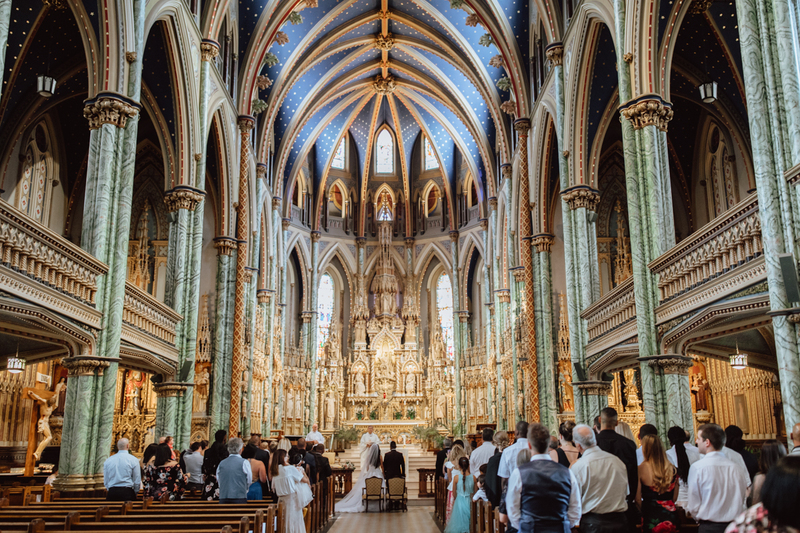 We then took photos with the wedding party around the Notre Dame (which is thankfully full of incredible photo locations). 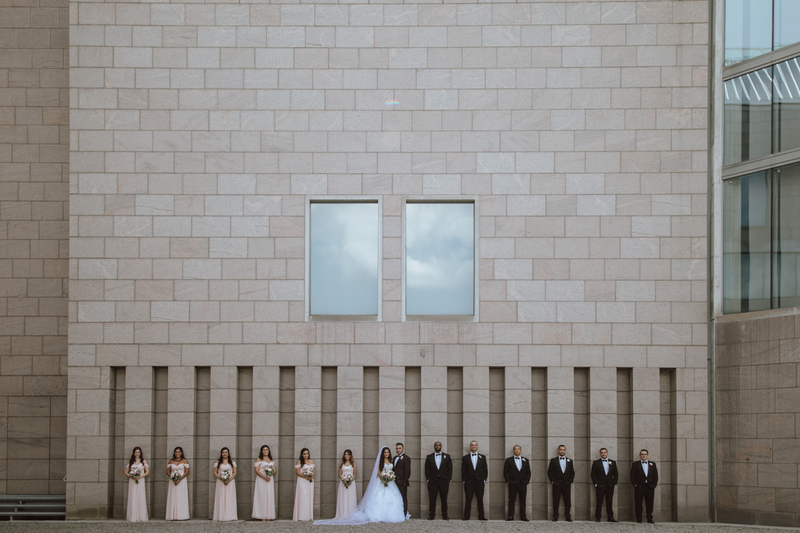 We started at the National Art Gallery just across the street and used their ivy-covered courtyard. 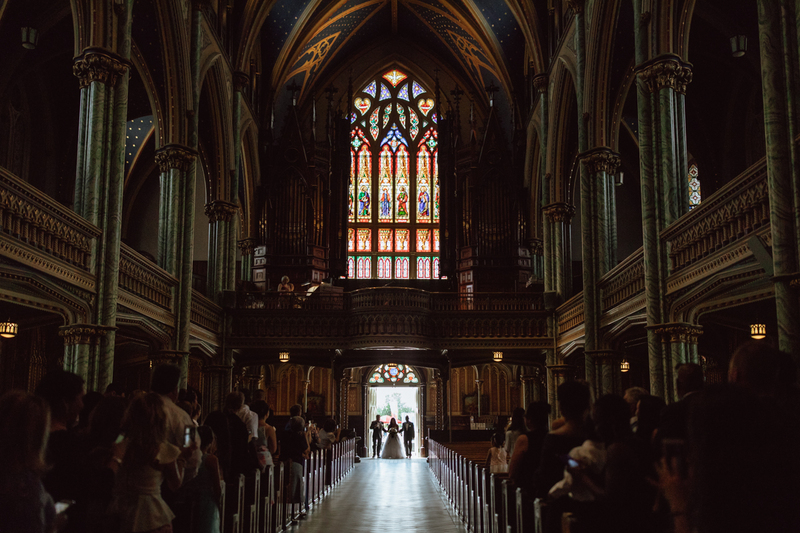 Afterward, we took the quick trip across the bridge to the Museum of History in Gatineau. 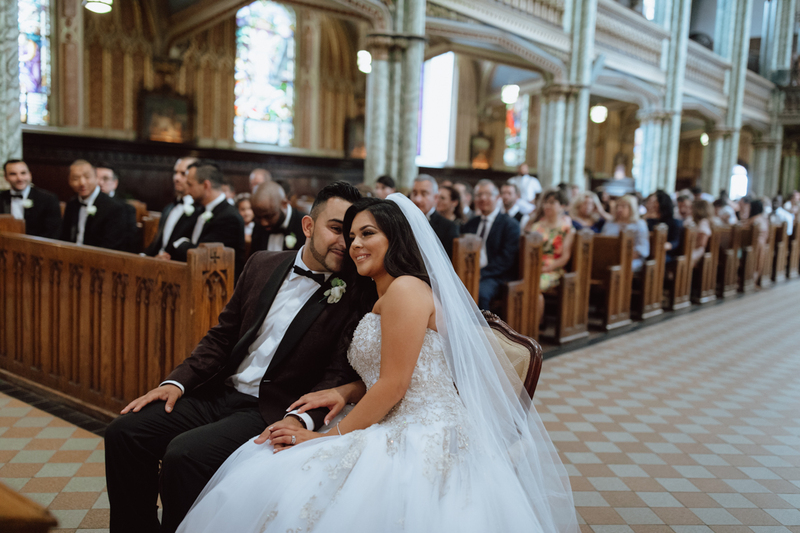 We took a few photos here to get the stunning view of downtown Ottawa and the parliament buildings. 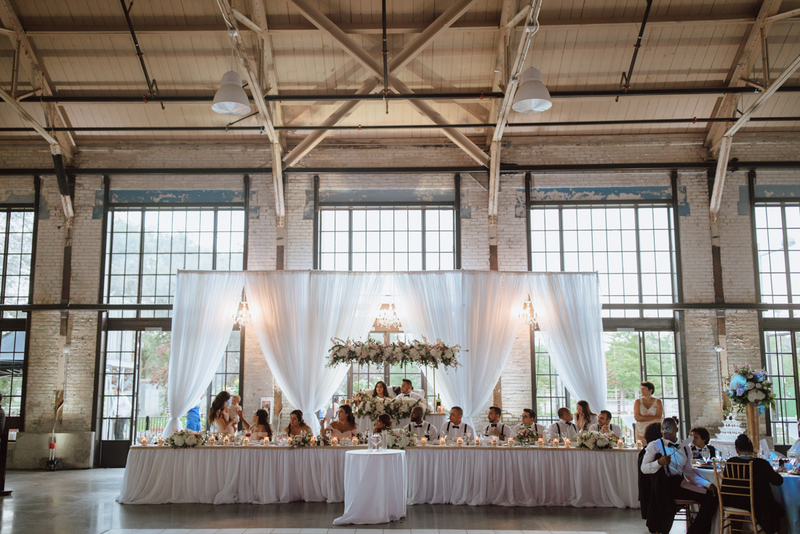 Finally, we ended up at the Horticulture Building to settle in for the incredible reception. 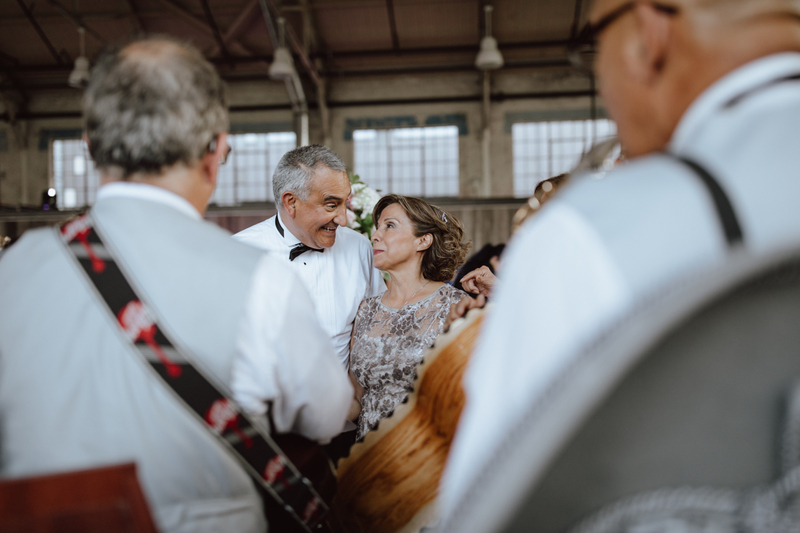 The thing I love about a Horticulture Building wedding is that it’s completely different every time. 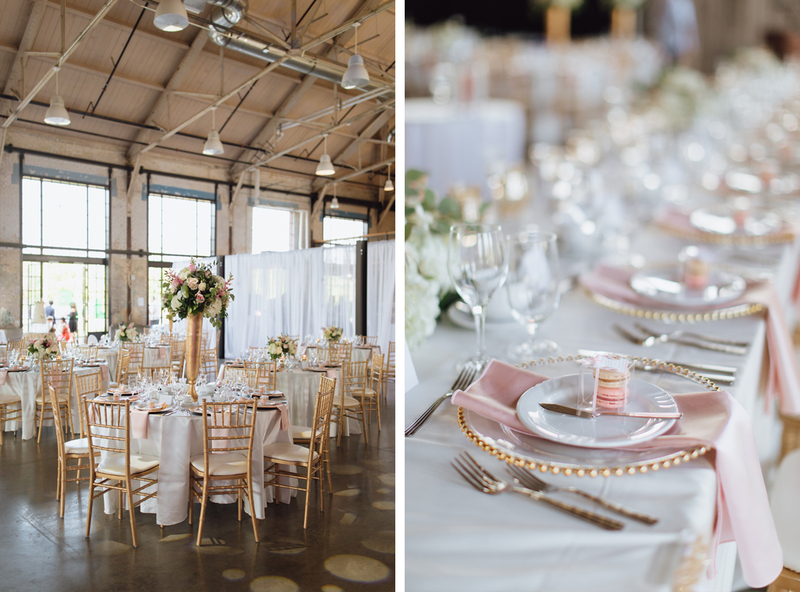 It’s one of Ottawa’s only industrial wedding venues and it’s a stunning one at that. 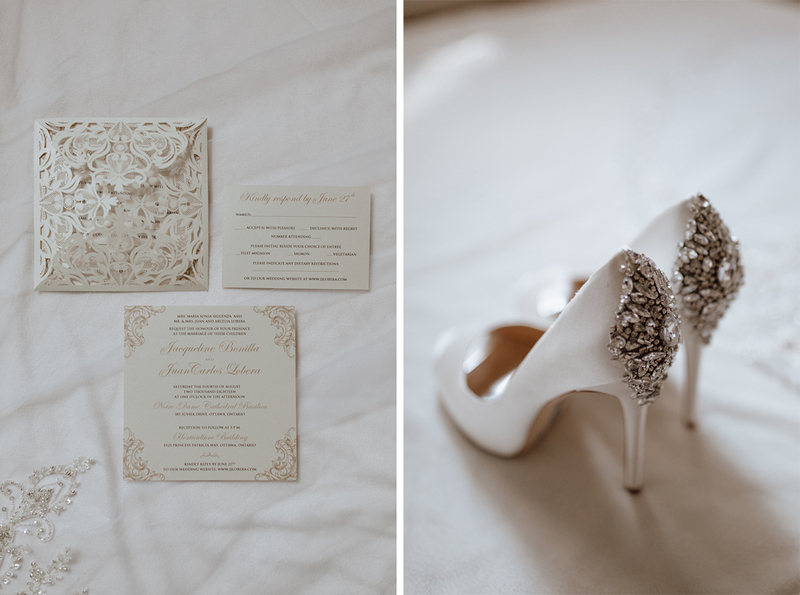 I think it’s also so popular and appealing to couples because you can really make your own. 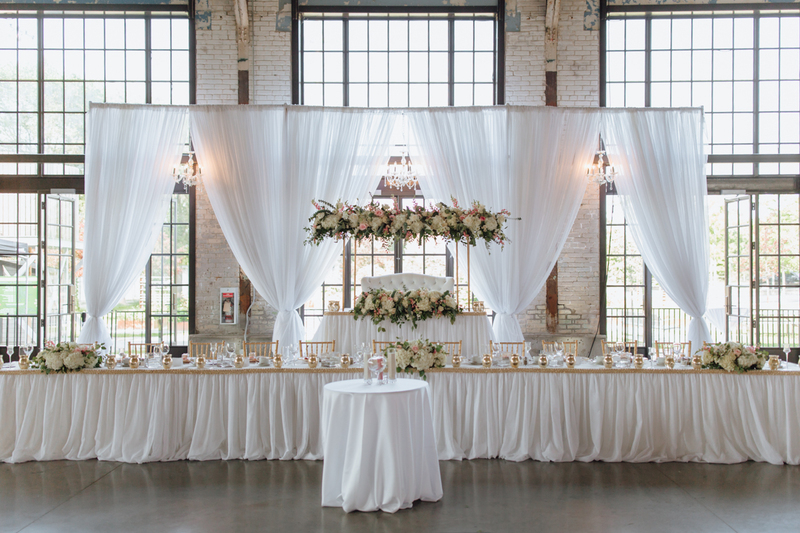 Decorating as much or as little as you like. 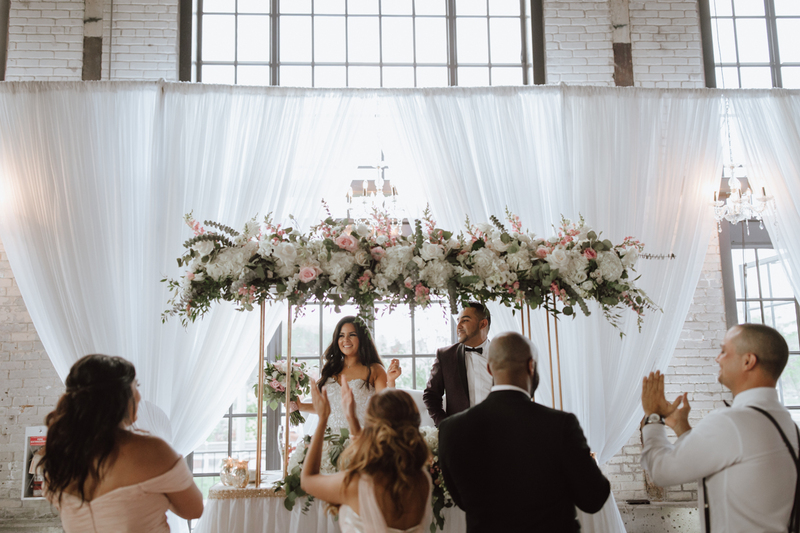 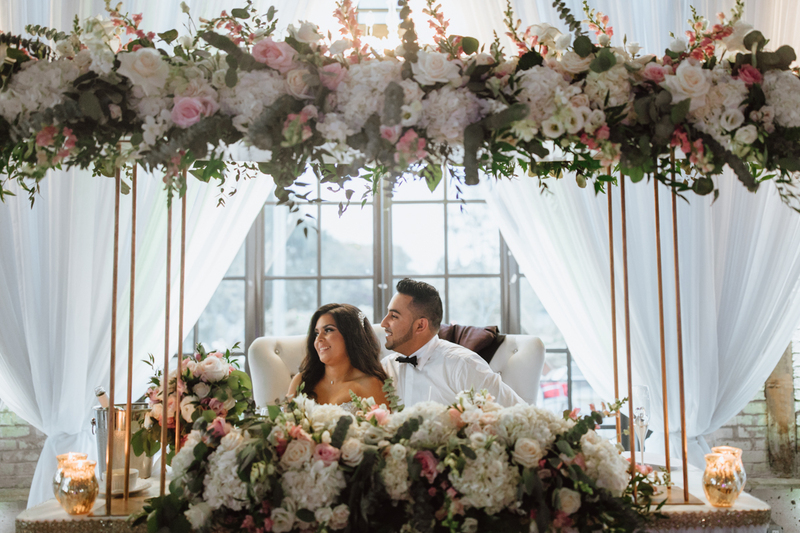 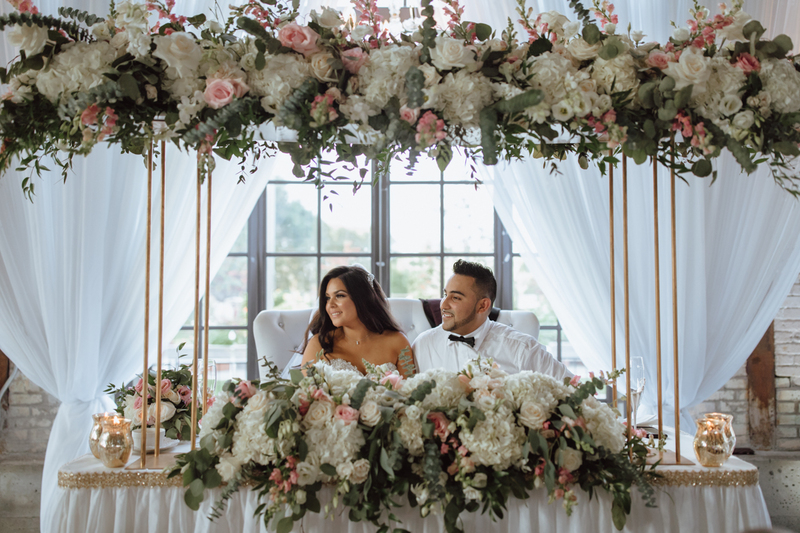 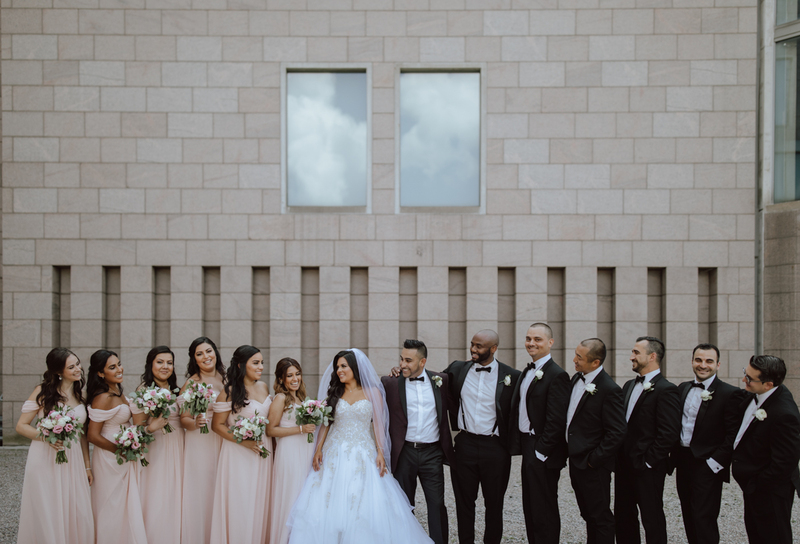 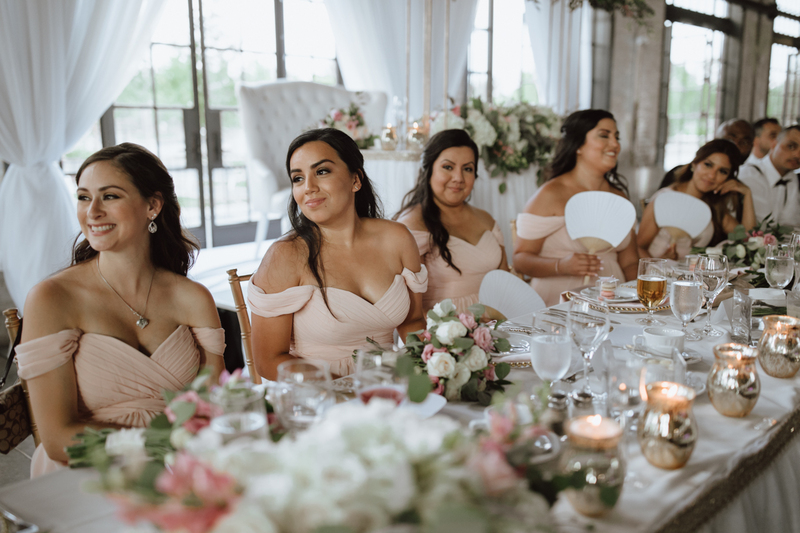 Jackie and Juan decided to contrast the industrial and modern venue with soft pinks, bright golds and stunning florals on every table. 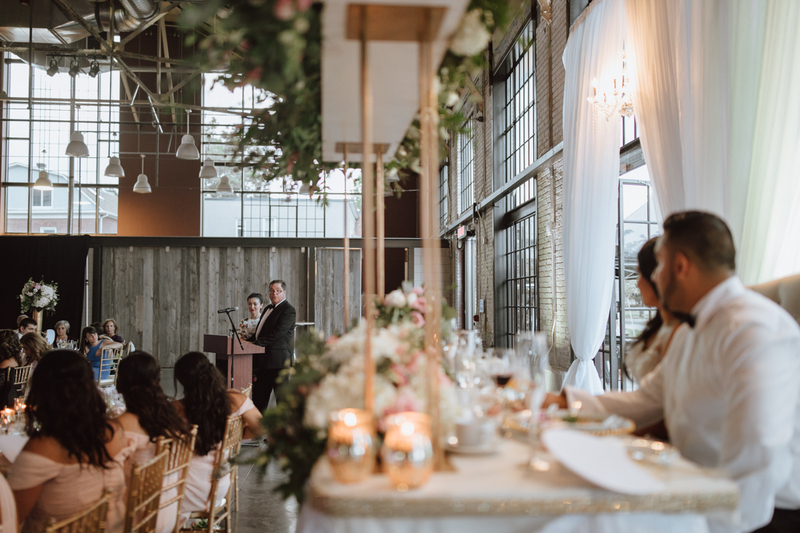 Even in the huge space, the whole space felt so warm and welcoming. 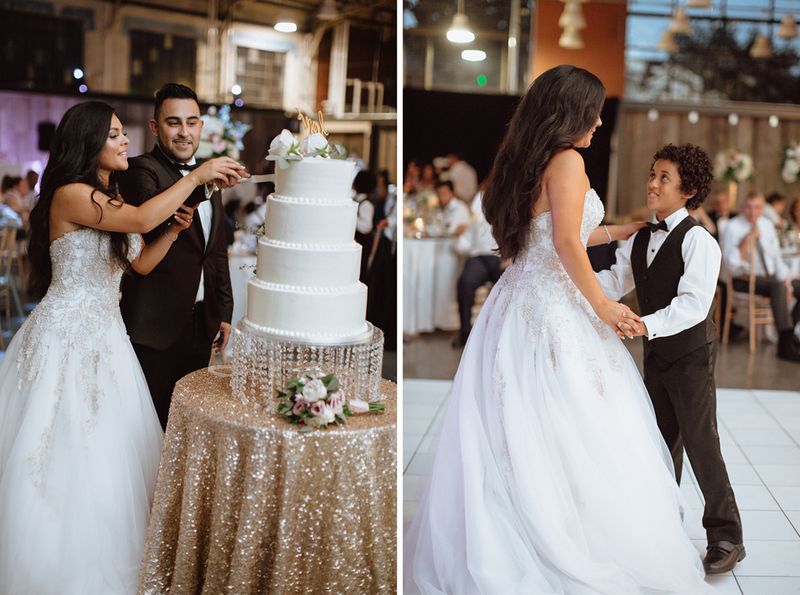 Which matched the feel for the reception perfectly. 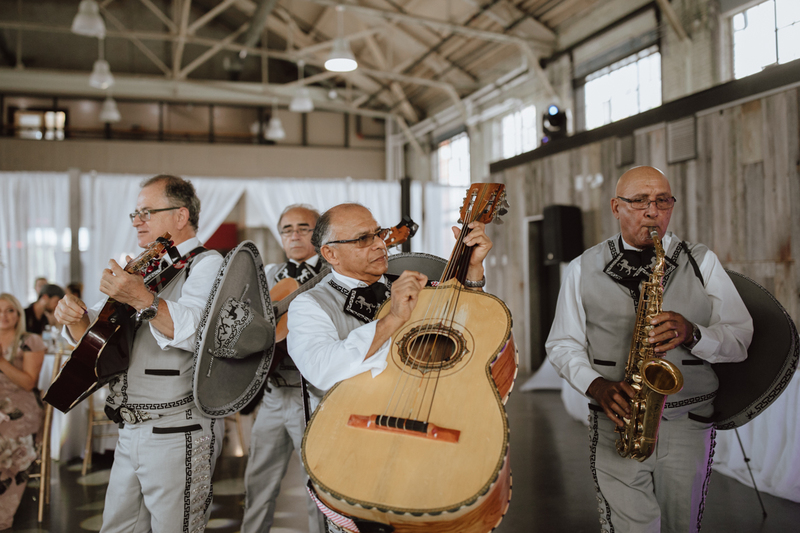 The evening started with a Miriachi Band playing and serenading each table. 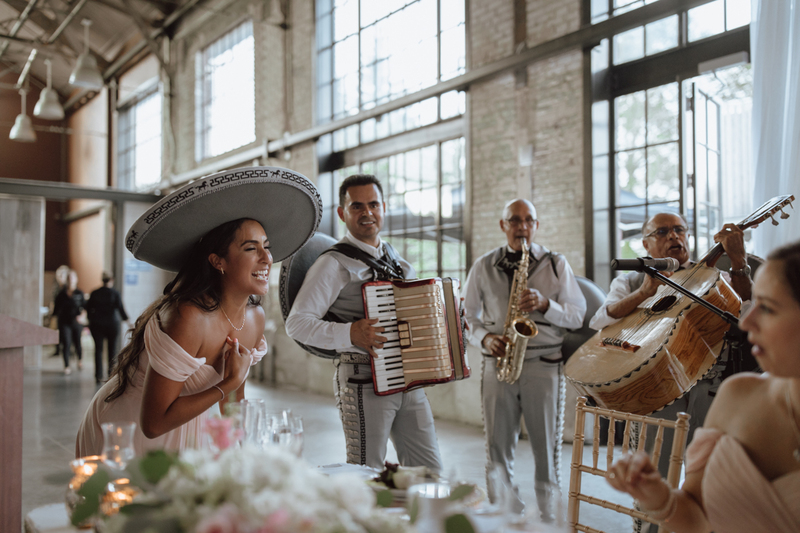 Which guests sang and danced along to (an amazing and energetic way to start dinner!). 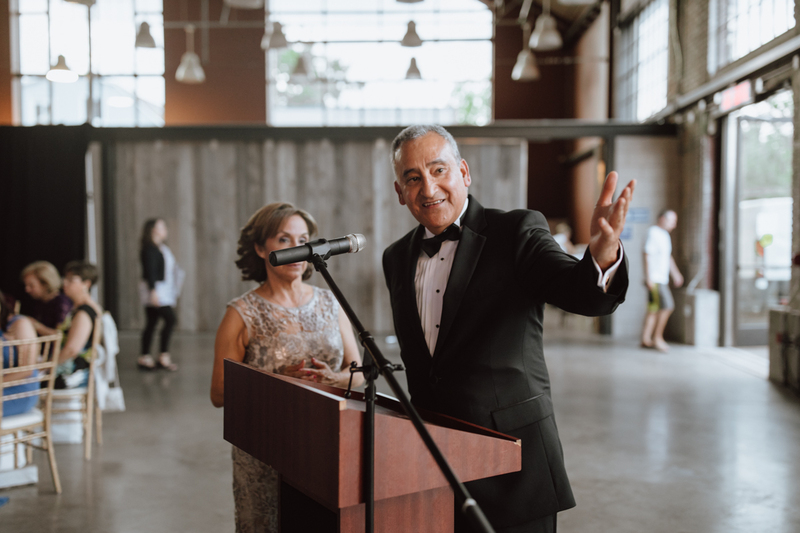 The evening seemed to run seamlessly with speeches between courses and the whole evening ending with an incredible dance party. 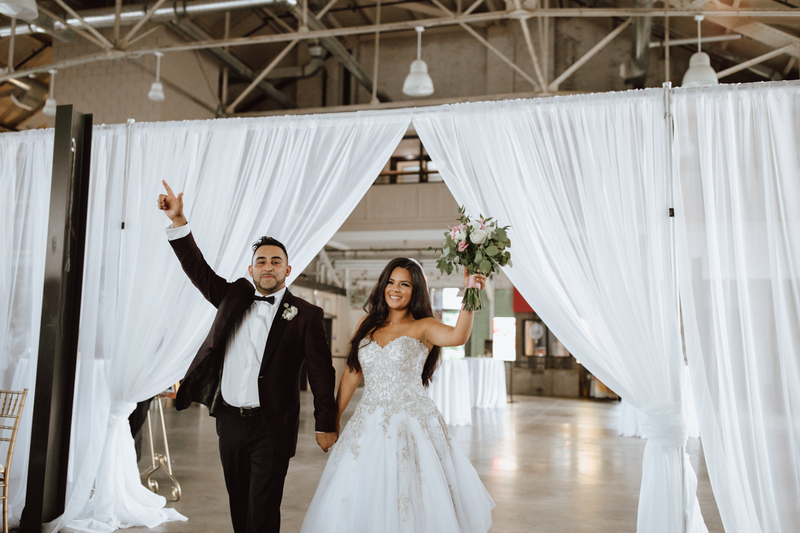 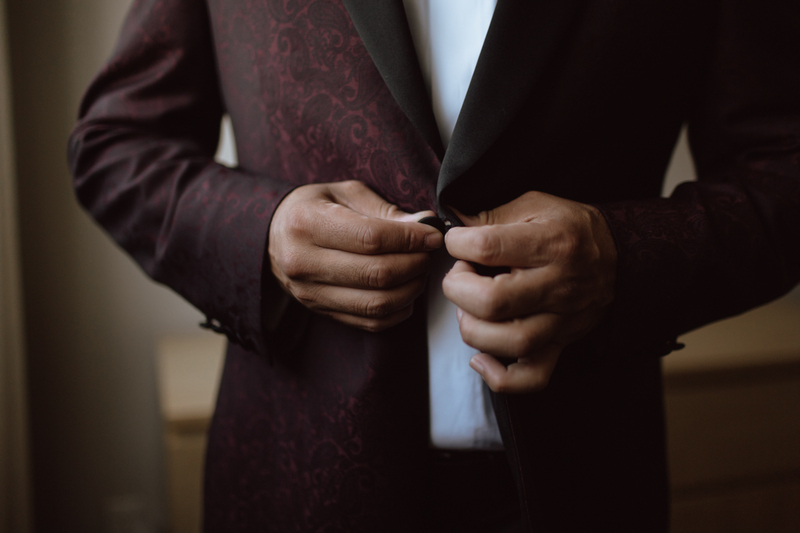 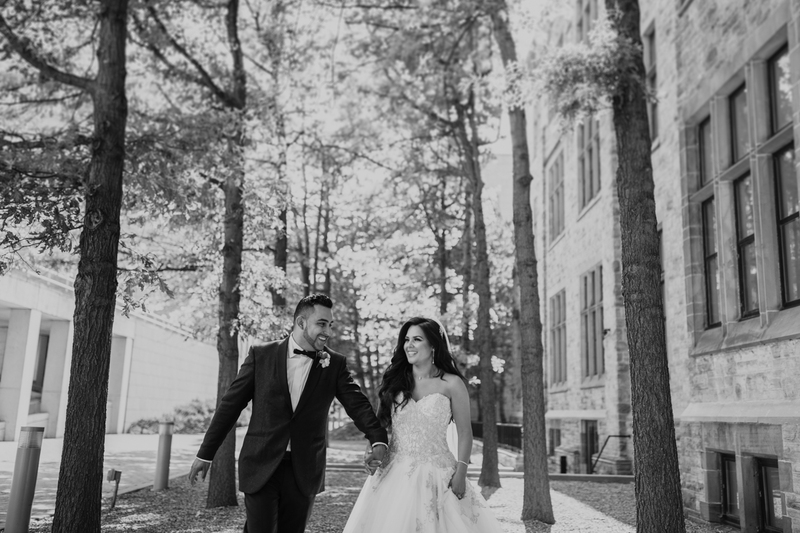 Now stop reading and keep scrolling to see Jackie and Juan’s gorgeous Horticulture Building wedding. 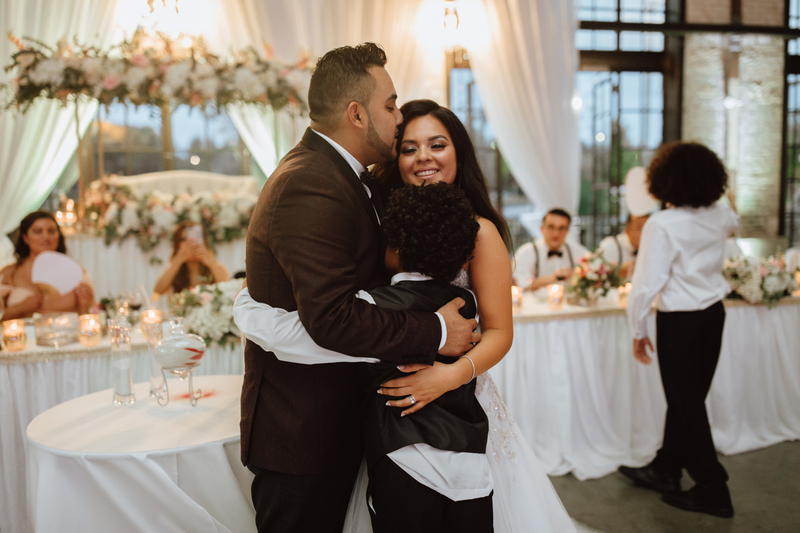 Planning and Coordinator: Ella at RSVP Events. 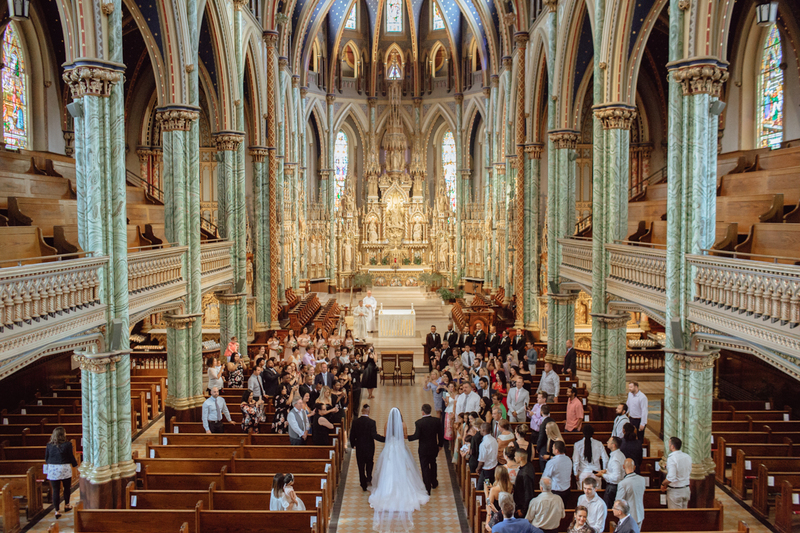 Ceremony Venue: Notre Dame Ottawa. 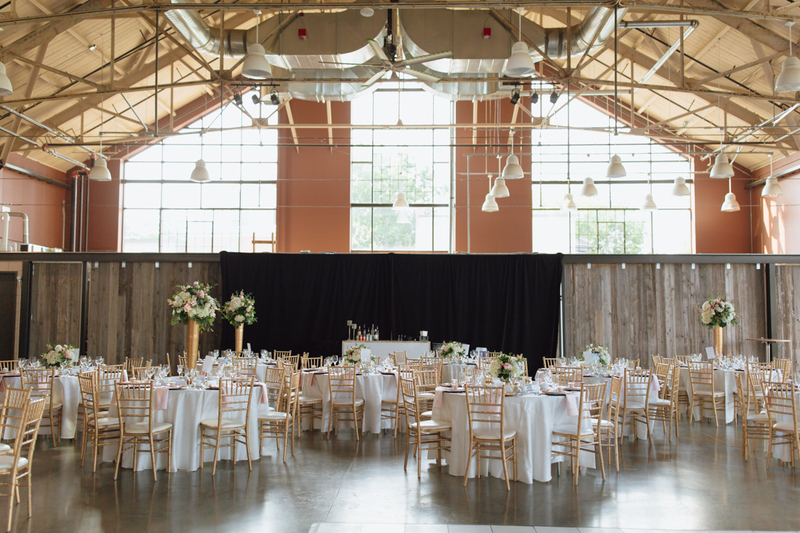 Reception Venue: Horticulture Building Ottawa. 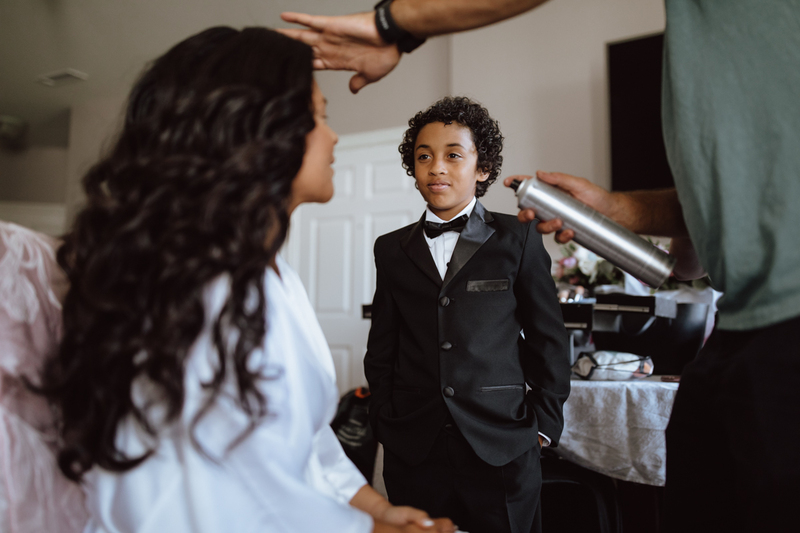 Hair: Unique Hair Salon (Sam). 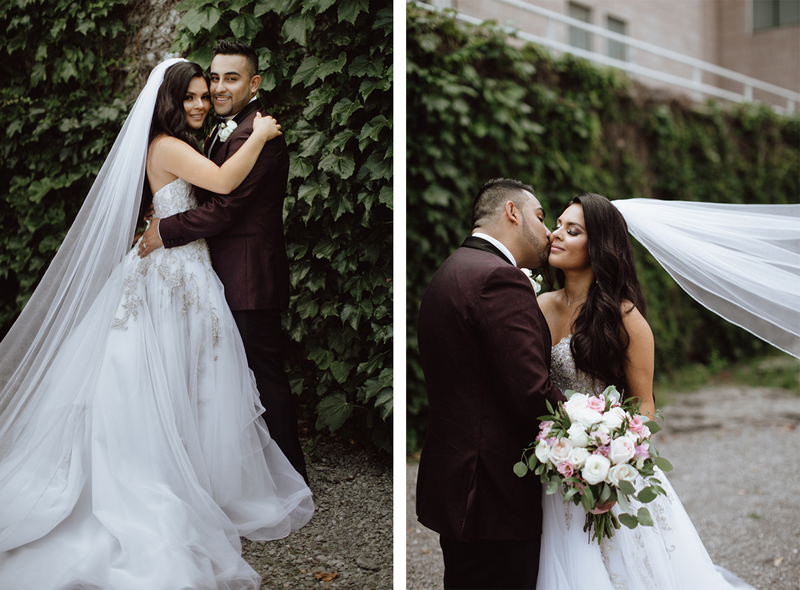 Make-up: Ariana Assadi and Beautifine Makeup. 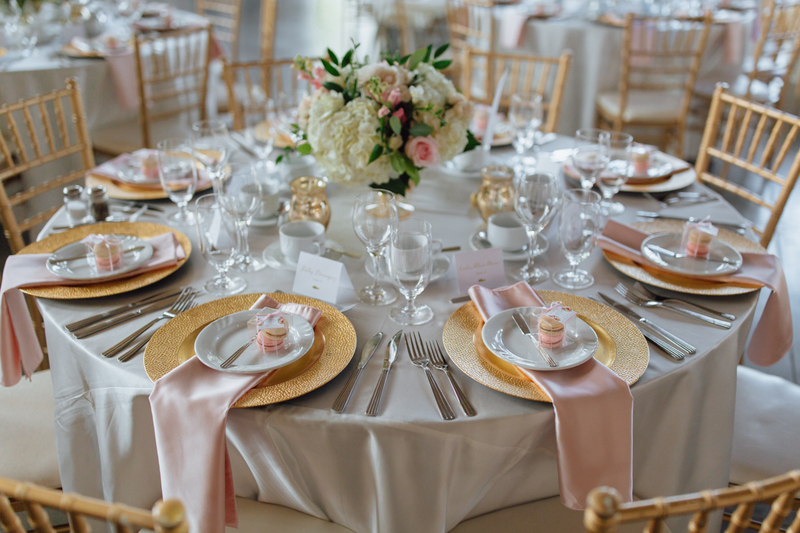 Catering: Traiteur Epicure (Raul Banyai). 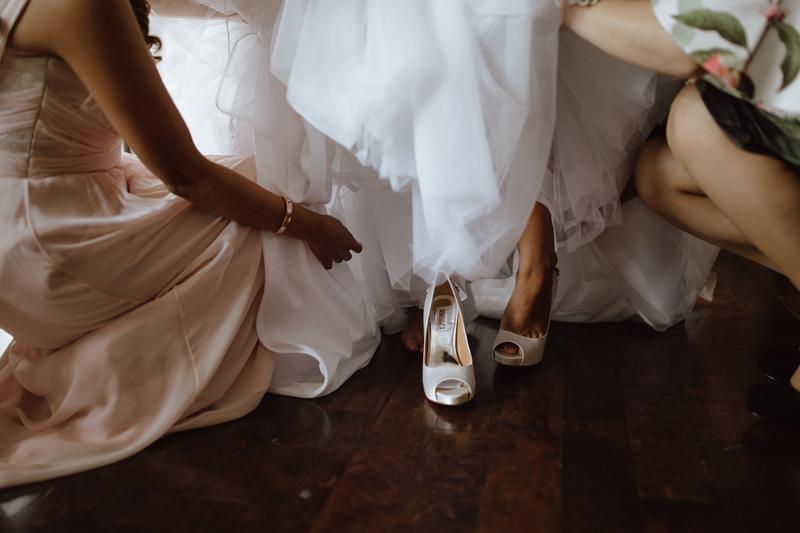 Wedding Dress – La Maison Bridal Boutique. 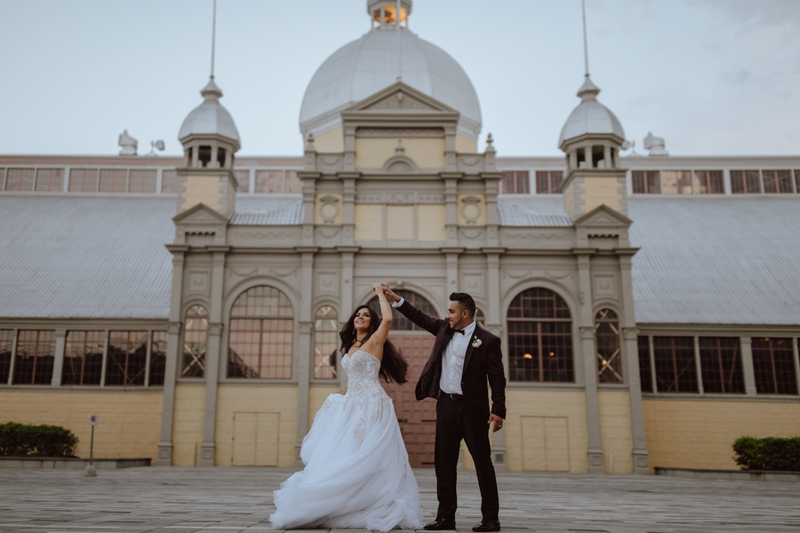 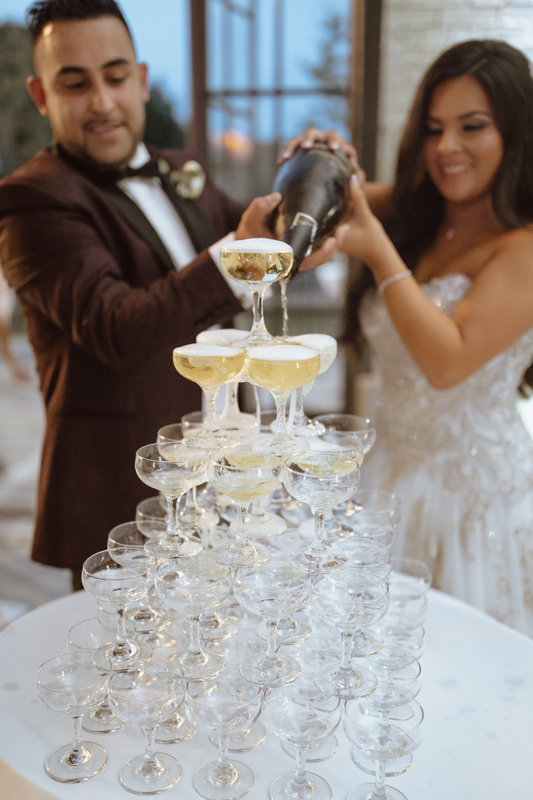 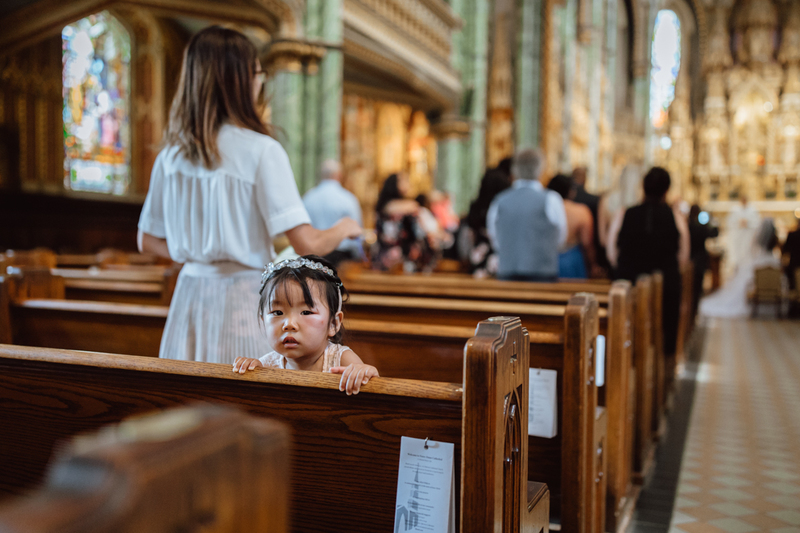 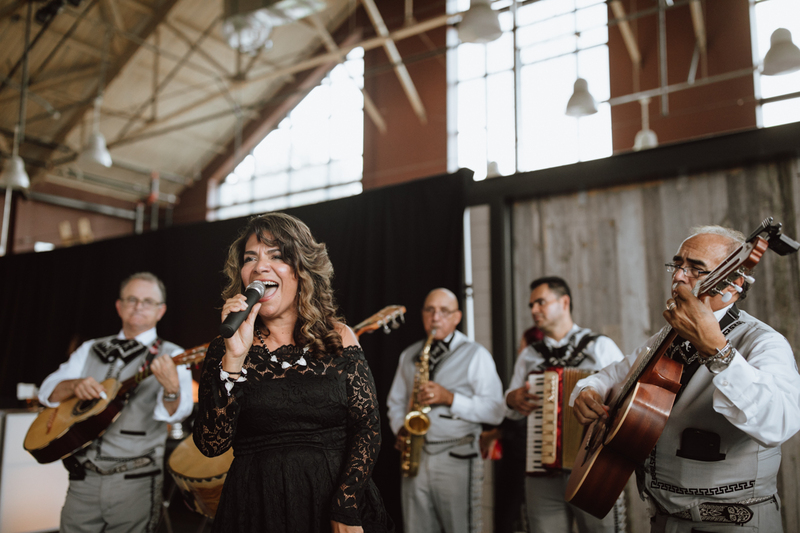 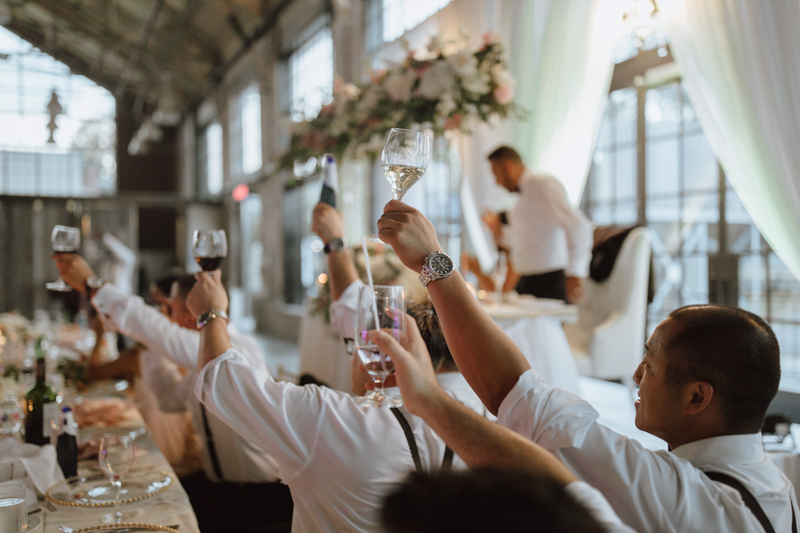 Horticulture Building wedding | Notre Dame Ceremony Ottawa | Industrial Wedding Ottawa | Ottawa Wedding Venue | Agatha Rowland Photography.